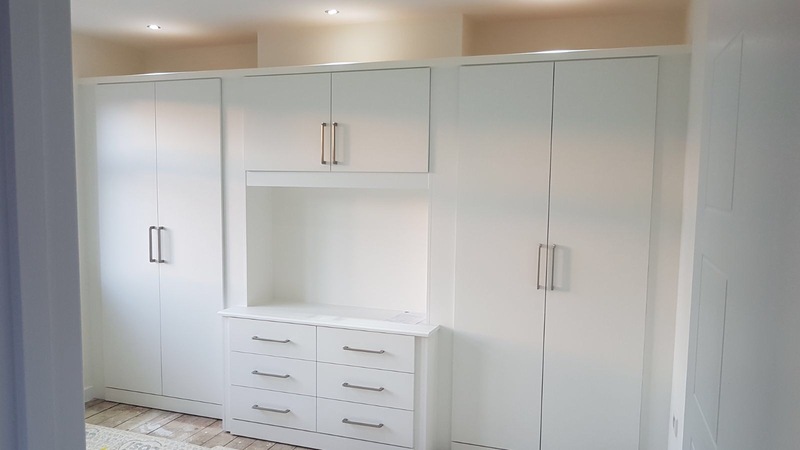 Because we manufacture every bedroom ourselves, our transformation team can create replacement bedroom doors, new cladding or complete room solutions. 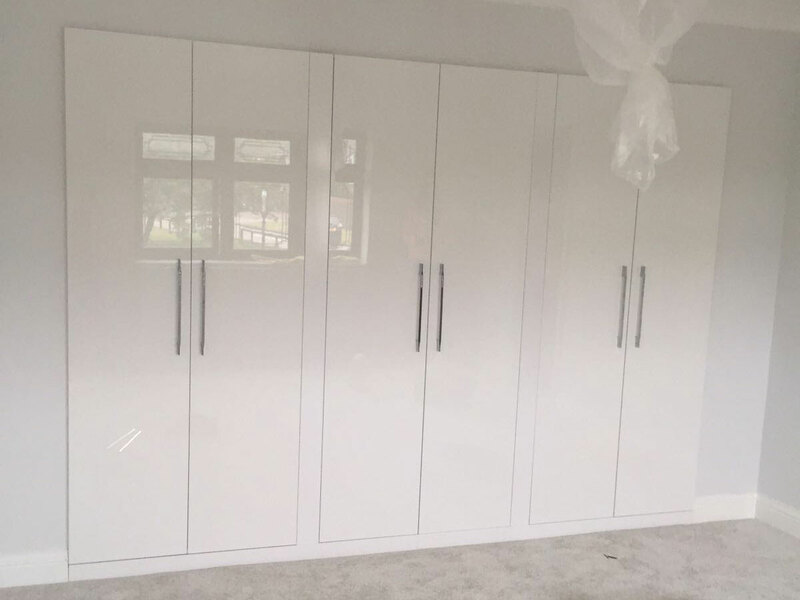 This means we can provide the best possible solution at a very competitive price. 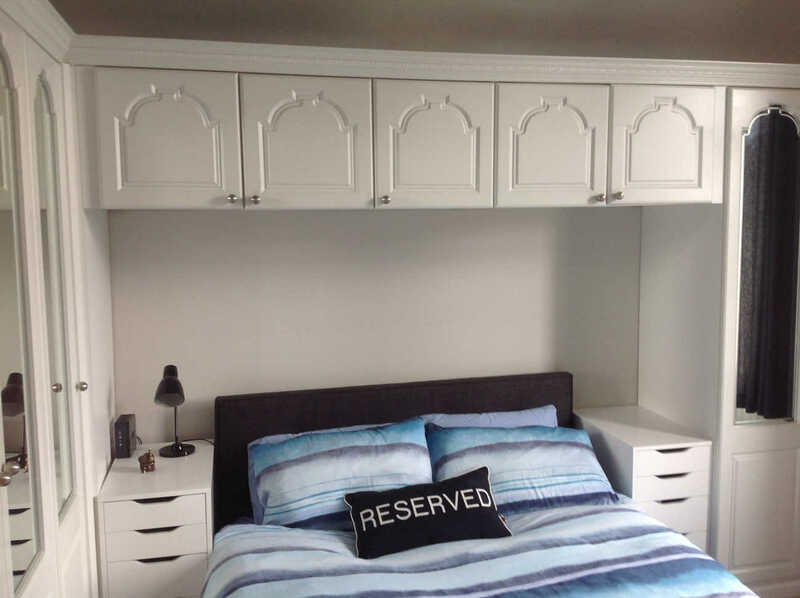 Our customer had storage space built into alcoves in their master bedroom, they were dated and the doors were 20 years old! 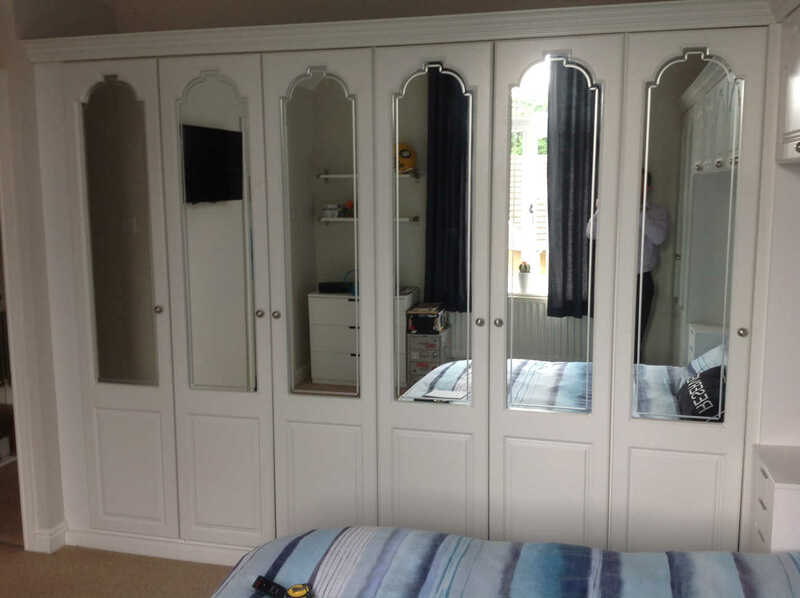 Removing the structure would have been a messy and time consuming job, our team fitted replacement wardrobe doors in just one day, transforming the room. 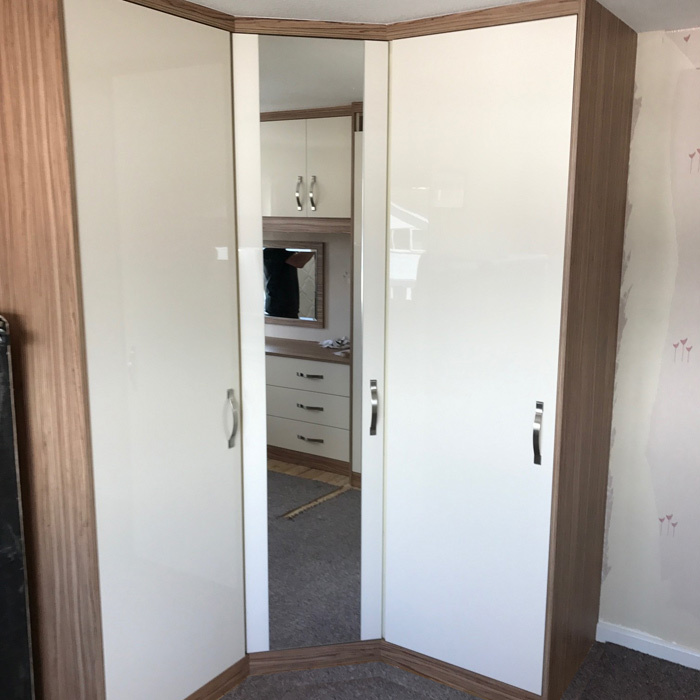 This is the corner of a fitted bedroom suite that had previously been fitted 27 years earlier by a fitter that still works with us! the sides and replaced the doors - should be good for another 27 years! 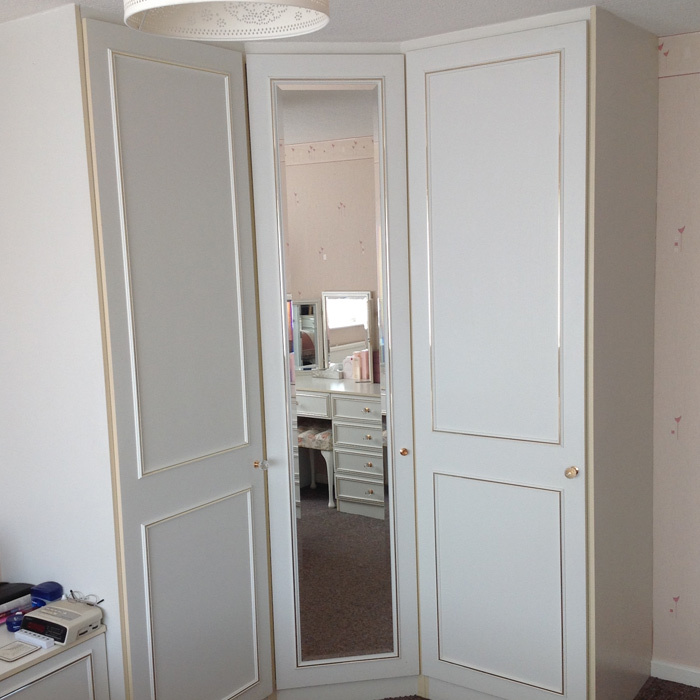 We recently completed the wardrobe door replacement project in this fitted bedroom. 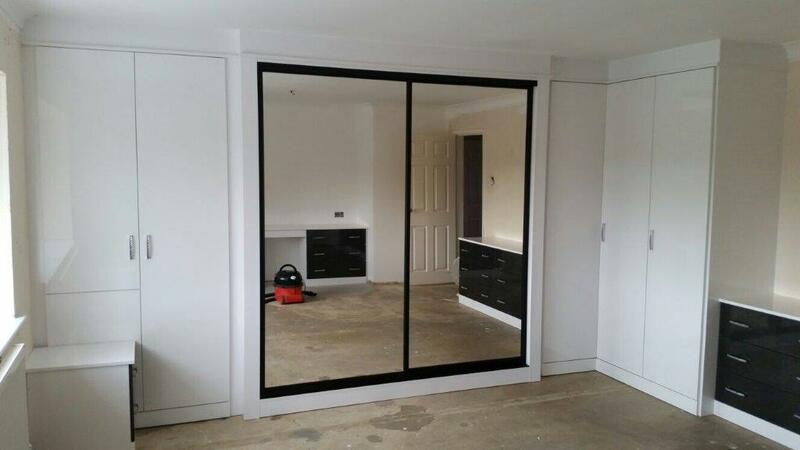 The 1980's style doors looked really dated and our customer wanted a bright gloss door to bring the room unto date. 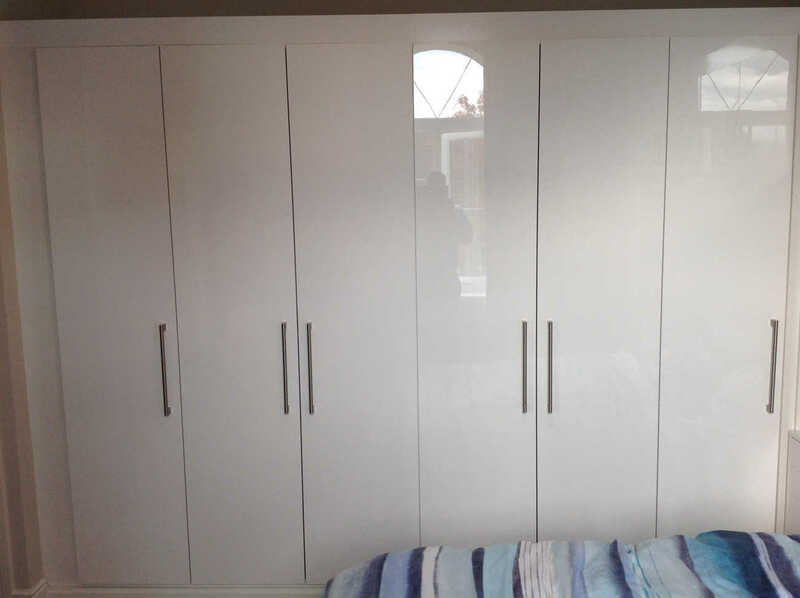 Our Jasmine gloss wardrobe door was perfect for bring the room up to date. 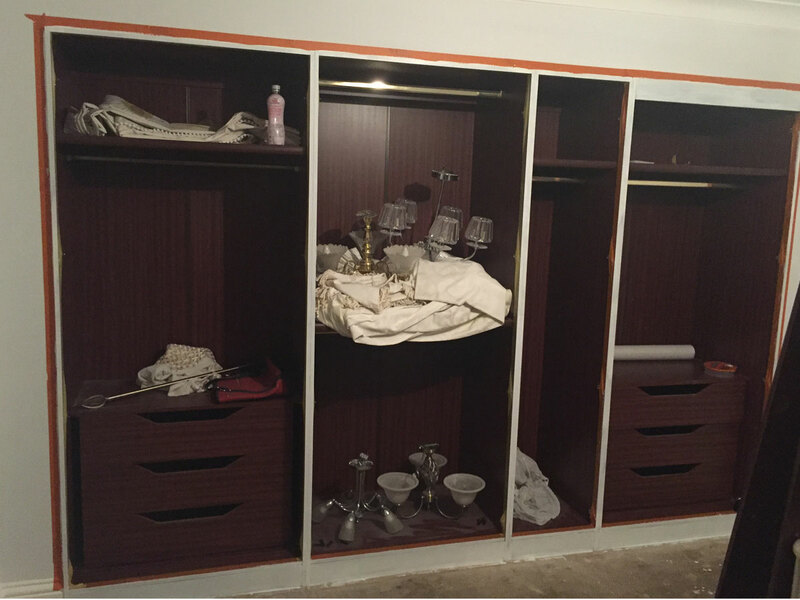 Our fitters completed the project in less than half a day, a fabulous transformation in just 3 hours! 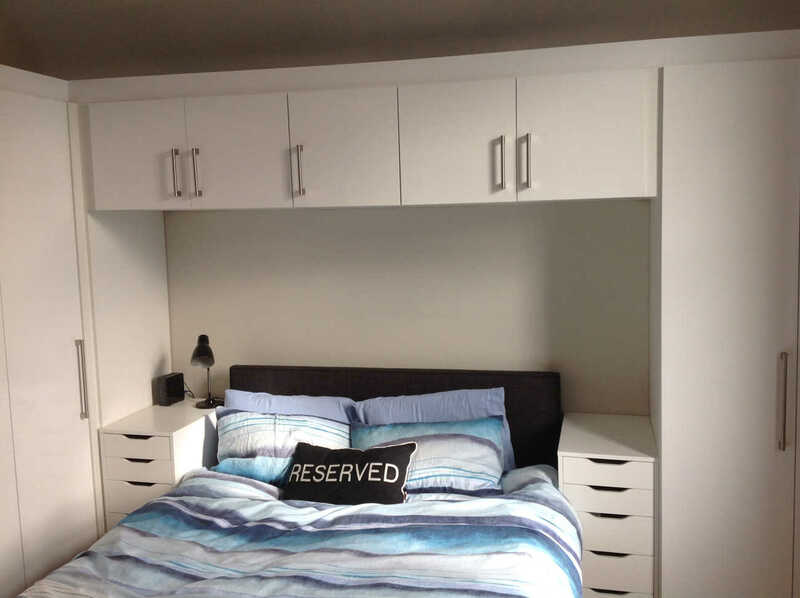 This bedroom suite was in need of a refresh. 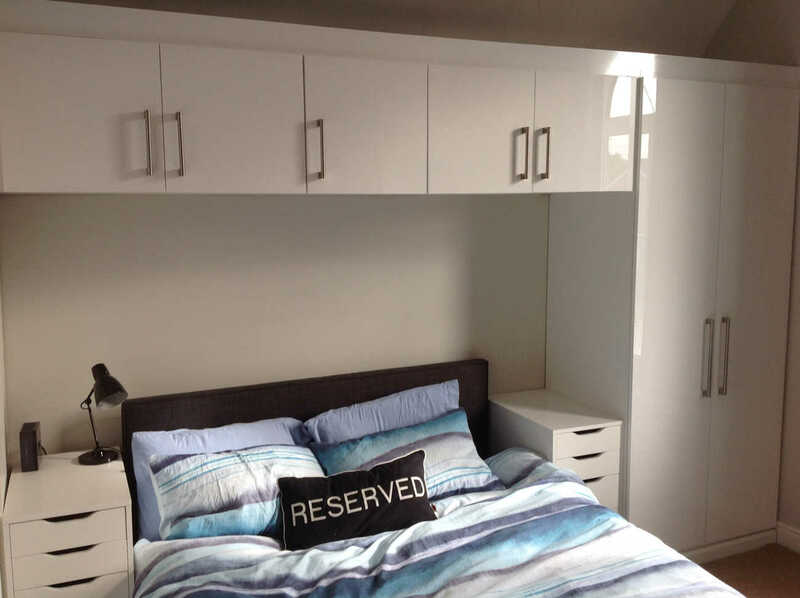 Previously a dark word effect resulting in a gloomy room, new doors and cladding brighten up the space. 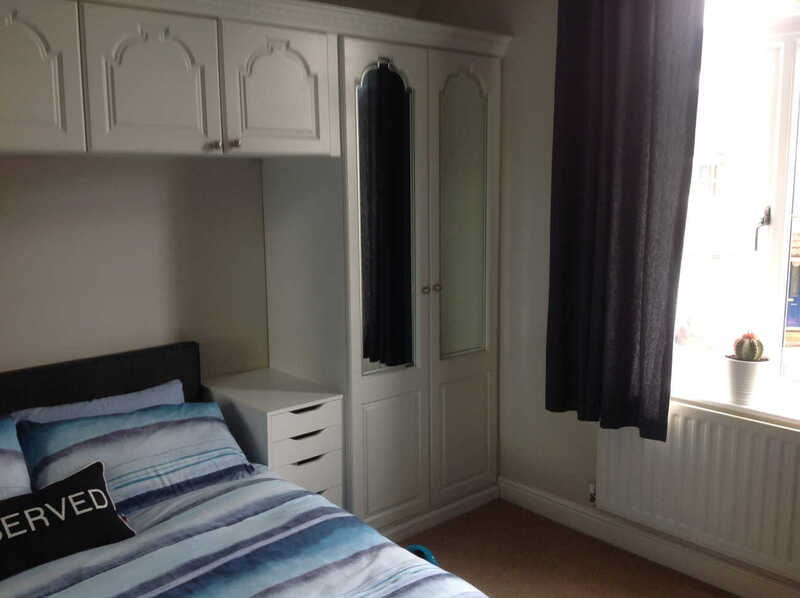 Our designer not only replaced the wardrobe doors on one of our previous bedrooms here, he also added in the feature unit in front of the chimney breast.